Tasting Note: Since 1888, the House of Metaxa has been on a journey to offer one of the smoothest and most pleasurable amber spirits under the sun. 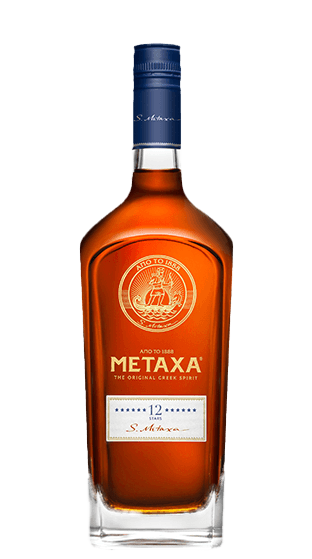 METAXA 12 Stars is the refined expression of this journey. This one-of-a-kind amber spirit unfolds a very complex character, with subtle aromatic notes of toasted oak wood, orange peel and spices. Created by the fifth Metaxa Master, Constantinos Raptis, METAXA 12 Stars, results from the unique craftsmanship of ageing and blending wine distillates and Muscat wines.